nora Aug 21 2016 2:55 pm Just started this drama and it seems really interesting. for some reason it really reminds me of the manga and anime ERASED/ boku dake ga ini machi. something about the explaining scenes/ editing.. hopefully ill get the same vibe as the movie of erased haha. Reya Aug 20 2016 9:25 pm So far the only likable character is the lead because everyone else just seems so shady! I think I just feel bad for the guy, he has no clue as to what's going on and it feels like there's nobody he can trust. Ugh I hope he has a comrade soon or I'm going to burst (still on episode 3). Despite that, so far it's been interesting. I just hope it doesn't have a disappointing conclusion. 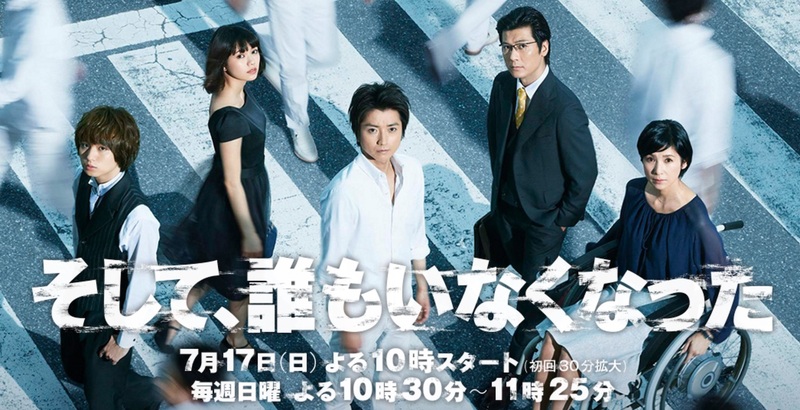 Sakura Aug 16 2016 3:46 am Just started watching this drama because I've loved Tatsuya for about 7 years now! He's always gotten good roles than can show just how much of a versatile actor he is and I think this drama's plot is interesing. There's a lot of things to be curious about as to how all of it happened so I'm excited for what's to come especially with the married man, Tatsuya, looking finer than ever! 柊也 Jul 20 2016 8:33 am I'm a fan of Tatsuya Fujiwara, so I gave this a go and surprisingly it was pretty good. Looking forward to more!